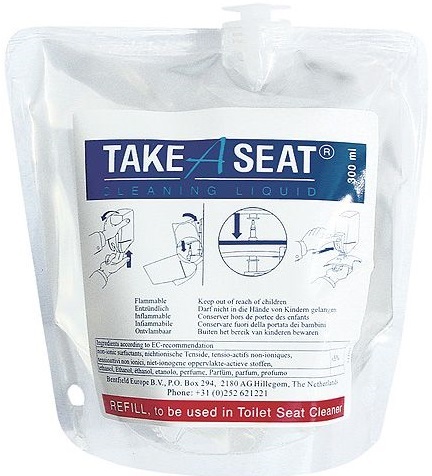 Specially formulated and customized by TCS Hygiene, the toilet seat sanitizer is a sanitizing solution with ingredients that is clinically proven to kill 99.99% of bacteria and germs commonly found in the toilet and workplace environment. 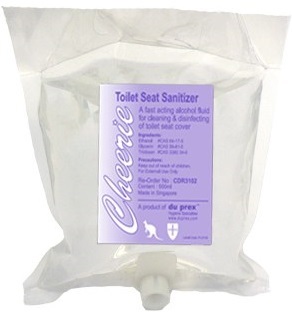 Not just a toilet seat sanitizer...the sanitizer can be used on other contact points or surfaces such as door knobs, table tops, telephones, keyboards, chairs, bin chute handles, etc, for that added peace of mind.Mildly fragranced with refreshing perfume oil, the sanitizer serves as an air freshener too. Ideal for combating odour in the restrooms and poorly ventilated rooms or when you want a breath of fresh fragranced air.